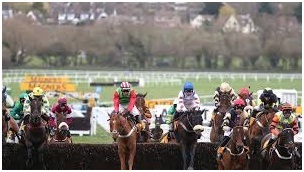 The festival period is incredibly important for the economy of the Gloucestershire area with a reported £100,000,000 of money coming into the area during the week surrounding the races. This includes the money that is spent on accommodation and food and drink in the local area and is separate to the amount of money that is spent on betting at the races. The Cheltenham Spa train station will see a total of 134,600 walking through the station during the four days of the racing events. The shuttle bus service will take over 80,000 trips between the racecourse and the town centre over a four day period. 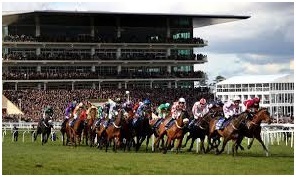 The racecourse can take a maximum of 75,000 spectators on Gold Cup Day and this event regularly sells out to capacity. A total of 37,000 vehicles will park at the racecourse site over the festival period. The longest race over the whole Cheltenham festival period sees the horses covering a distance of 21,120 feet and the shortest being just 2 miles in length. An additional 6,000 temporary staff members are employed for the race period with over 350 chefs producing a variety of amazing dishes. As well as people arriving at the racecourse on foot, by car, bus and train there are around 100 helicopters travelling to the area each day.